Back in the day, a fashion house wasn't worth its salt unless it employed a specialised Vendeuse. for our MOST loyal customers! Our in-house Vendeuse is our designer Rabia Lockwood. Rabia has over 13 years of experience working in women's fashion and has a keen understanding of how to best dress your body. She can answer any questions you could possibly have about the line of a skirt, the most flattering cuts for your body shape or how to disguise bumps and lumps. You can rely on Rabia for her honesty and integrity in all her personalised recommendations. 1. How the devil does one pronounce 'Vendeuse'??! Good question! It is pronounced 'vɒ̃ˈdəːz', like 'von-ders'. As we are a predominantly online business that caters to customers far and wide around the globe, the issue of a personalised service is one we have thought long and hard about. Our Vendeuse Service is designed to make shopping with Ginny & Jude simpler and cheaper for our best customers. From here on in, the Vendeuse will contact you when she believes she has an outfit, or a new design she thinks would suit you. And you will contact her when you need help getting an outfit together for a special event, wedding etc. 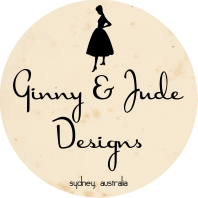 Once you have used the discount code to purchase from Ginny & Jude Designs you have opted in to using the Vendeuse Service. It's that simple! For more information and access to the discount code, please contact us using the form at the bottom of this page. 3. What are the perks of using the Vendeuse Service? There are a number of really wonderful perks!! 4. Are there costs involved? No! To qualify for the Vendeuse Service you must simply spend a minimum of $600 per calendar year with Ginny & Jude Designs. This includes absolutely anything you purchase from us and as you know this is very easy to do! 5. Can I make an appointment for a one-on-one consultation? At the moment this isn't possible as we don't have the premises to hold such appointments. However this is something we would dearly like to include in our Vendeuse Service, so do keep checking back. * 'Hassle Free Returns' applies to regular Domestic returns only. International returns are at the customers expense. FREE returns are capped at one return per order. * By using our Vendeuse Service, you are committing to spending a minimum of $600 a year with Ginny & Jude Designs. If you do not reach the $600 figure in the year ending june 1st each year then your unique code will be deactivated. * Our Vendeuse will contact you in the months prior to the anniversary which turns over at the 1st of June each year to assist you with any decisions to make up your $600. * Free shipping and 'hassle-free' returns applies to domestic orders only. The hassle free returns is FREE for domestic orders and CAPPED at one free return per order. Flat rate shipping fees apply to International orders, capped at $15. International returns are at your own expense. Excess postage charges will be refunded following checkout. * The terms for Returns and Exchanges remains the same for our Vendeuse Service and our regular service. Please read our FAQ section for all the applicable Terms & Conditions.